Extend the reach of your Guardian Leak Detector (sold separately) to monitor hard-to-reach or tight spaces for leaks and for rising water levels in constrained spaces. Also use with the Guardian Valve Controller to monitor the adjacent area for leaks. 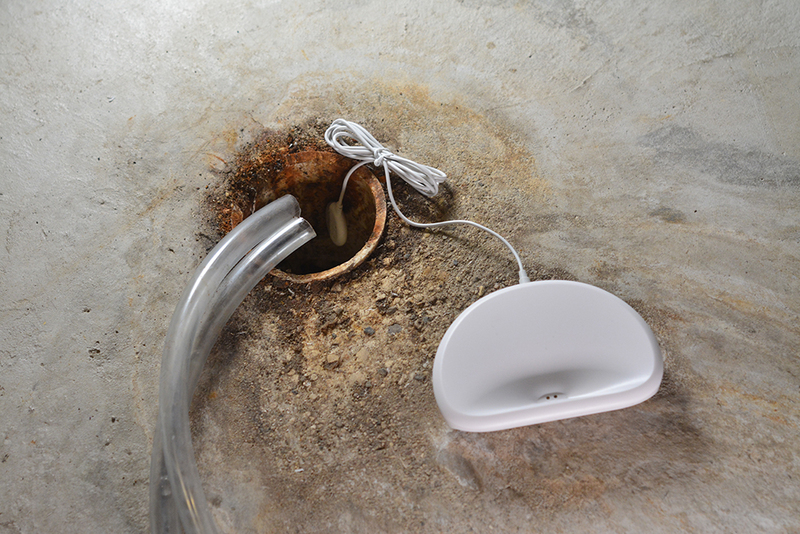 Easily monitor sump pumps, drains, or underneath any appliance for leaks. Use the Remote Sensor to monitor hard to reach areas and secondary locations with the Guardian Leak Detector. The Remote Sensor plugs into the minijack on the front of the Leak Detector or the rear of the Valve Controller and its low profile quarter-sized sensor can be placed up to 4 feet away to monitor for leaks. ©2019 Guardian by Elexa. All Rights Reserved. Select a topic of below so we know what your interest(s) are. This way, we can assign our best to help get you the information you need. Please share a brief description of what we can help you with. Thank you! An Guardian team member will be with you shortly.